When it comes to promoting energy access in sub-Saharan Africa, energy poverty advocates say the United States is late to the game. President Barack Obama’s Power Africa initiative, announced in July, marks a new push to make the United States a bigger player in Africa’s energy future. Now lawmakers, agency officials and business leaders are trying to figure out what the next steps are that need to be taken to turn enthusiasm into a working electrification plan. Obama’s development goal for U.S. engagement in sub-Saharan Africa is ambitious — 10,000 megawatts of new power and access to electricity for 20 million Africans by 2020. But can the president’s initiative spark the necessary regulatory and budgetary changes needed to accomplish that objective? Some government agencies — like the Overseas Private Investment Corp., which is expected to play a big role by financing energy deals — face limitations that will make it difficult for Power Africa to reach its target electricity production without making changes in how the agency operates. Devex caught up with some of the key people working behind the scenes to ensure the initiative avoids deteriorating into either an empty promise or a big-business market-grab that ignores Africa’s rural poor. 1. Will Congress agree to increase OPIC’s manpower to drive more energy deals? OPIC is a small agency, whose deal teams are currently not well-enough staffed even to deploy the amount of capital that is at their disposal. Littlefield said they could deploy the additional $5-6 billion they have on hand if they were staffed up with a few more “deal teams,” who would make the agency capable of facilitating more and bigger transactions. Every dollar spent in administrative costs at OPIC, she noted, actually generates $3 or $4 in revenue for the U.S. treasury. The Dutch equivalent of OPIC, for instance, is twice the size of its American counterpart. While other countries have scaled up their development financing arms, the United States has hesitated to allocate sufficient funding for OPIC to grow and better fulfill its financing vision. Congress reauthorizes OPIC annually, which means companies looking for a U.S. government partner for financing or loan risk reduction must hope Congress allows the agency to continue to uphold its end of any long-term financing. That uncertainty makes OPIC an unreliable business partner for some companies looking to finance 15- or 20-year loans, explained Littlefield. The Electrify Africa Act contains language that would extend OPIC’s authorization through 2016. That provision, while still a relatively short-term solution, could reassure potential long-term investors that OPIC is here to stay. 2. Will Congress carve out an exception to OPIC’s controversial “carbon cap”? OPIC’s mandate requires strict attention to the amount of carbon emitted under its portfolio of projects. This “carbon cap” has driven a wedge between environmentalists, who laud the climate change fighting effort, and pro-poor activists, who see it as punishing poor people who never contributed to climate change in the first place. For Power Africa to achieve its goals, supporters say, it will require a balanced mix of energy sources, renewable and fossil-fueled, on-grid and off-grid solutions. Environmentalists and advocates of pro-poor energy access will have reach a consensus over how and when to select renewable or conventional fuels, if the initiative is going to benefit from broad-based support, and changing OPIC’s carbon emissions allotment could be part of such an agreement. Last month U.S. congressman Ed Royce introduced the Electrify Africa Act, a bill meant to formalize the U.S. government’s commitment to expanding energy access in Africa by committing resources and legislative authority to it. Some observers think Royce or other lawmakers could seek a carbon cap “carve-out” for OPIC’s operations in Africa, and possibly even more broadly. 3. Will the U.S. government adopt a pan-agency scorecard for selecting Power Africa projects? Power Africa’s inter-agency transactions groups convenes representatives from several U.S. government agencies to look at power deals and find ways to better support them so they can move faster and involve more American businesses. But it is still unclear how exactly the group will decide which deals to select for governmental assistance. At an event on Capitol Hill, Power Africa coordinator Andrew Herscowitz suggested the initiative’s leadership might develop a “scorecard” to compare potential deals, asking questions like: How quickly will this deal come to financial close, how many MW will come online and how quickly, what are its carbon emissions, is it fitting with existing U.S. government energy priorities? 4. Will Power Africa ask partner countries to sign a policy pledge? Tanzania and the U.S. government are expected to sign this week a memorandum of understanding to lay out the details of their mutual commitment under the Power Africa framework. Whether this will be standard protocol for all Power Africa countries — or what exactly this process will imply — has not been clarified. The Millennium Challenge Corp. is one Power Africa partner agency where some observers see a potential model for mutual obligation. MCC requires countries to demonstrate sufficient progress on a number of key indicators — such as good governance and transparency — before the agency agrees to collaborate on a development compact. 5. How will various U.S. government agencies deal with unsolicited proposals? The 14 pipelined projects Herscowitz mentioned seem to have been in the works for some time, allowing for behind-the-scenes discussions of where to partner and with whom, prior to the launch of the initiative. Now that Power Africa is generating buzz, it has grabbed the attention of power dealers across the African continent, many of whom likely see an opportunity to partner with the U.S. government as a golden ticket to success and publicity. How the inter-agency transactions team will maintain the capacity and procedures to deal with an influx of power development proposals has also not been fully explained. 6. Can small organizations and off-grid projects compete? 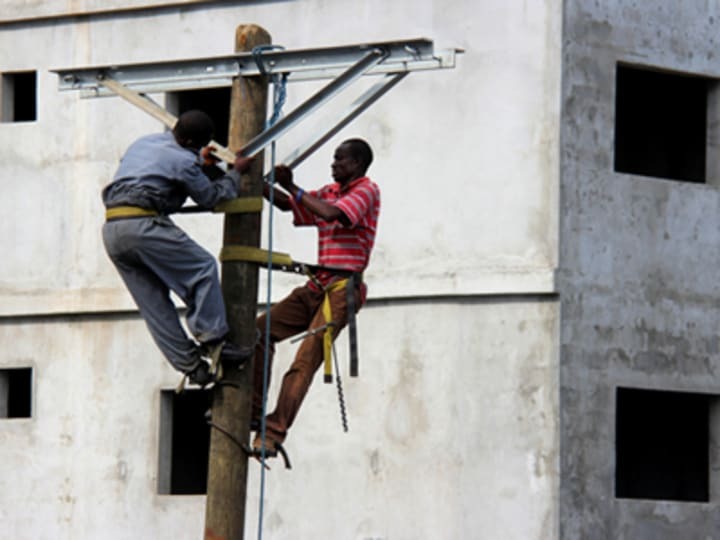 Some observers worry Power Africa amounts to a big-business push to compete with Chinese firms, who have invested heavily in Africa’s energy sector and infrastructure. With no clear mechanism in place to ensure that any portion of funding goes to small projects or off-grid energy production, some fear the biggest winners will be giant corporations like General Electric, who has already pledged to bring 5,000 megawatts of new electricity online. Royce, who has been pushing for the removal of OPIC’s “carbon cap,” received $10,000 in campaign contributions from GE and another $14,000 from GE lobbyists in 2011-2012, according to Federal Election Commission data compiled by the Center for Responsive Politics. 7. How transparent will Power Africa be? With so many unanswered questions about how the initiative will function, how it will select partner countries and transactions, what criteria for success it will use to determine if and when to expand, the initiative’s leaders will have a lot of work to do if a commitment to making their procedures clear to the public is to be a priority.